Gardening Apps: Tools or Toys? With so many people using smart phones and iPods these days, I thought I’d do a quick survey of gardening apps available for these devices. New apps being added to iTunes almost daily, so it’s useful to check often for the latest introductions. 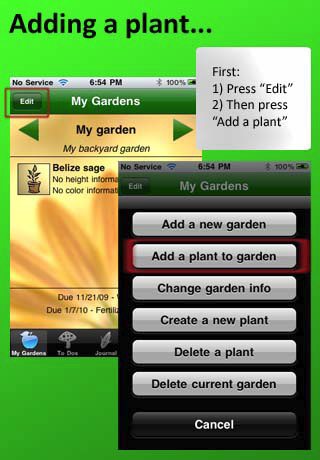 At last count, there are nearly 50 gardening apps available. Many of these are really just new ways to make and save your garden “to-do” lists. I was unable to find any that are free. Here are a few for your consideration. I always like to read the user reviews before I buy, so I don’t buy anything that has not yet had any reviews. The “ultimate” (and priciest) guide to trees and shrubs. Good reviews. I am tempted. Despite the silly name, I bought this after reading positive reviews and so far I like it. Good interface and nice graphics make it easy to use. One of numerous garden journal/ tracking/ planning apps, but according to the user reviews, one of the best. Another garden planning and tracking app. 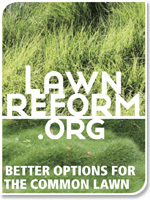 Some reviewers found it a tad simple for the price – ie: not enough information. A journaling and “to-do” app that allows you to post photos of your plants. As the name implies, for organic gardeners. For veggie gardeners. Keeps track of your harvest – quantities and dates. Intriguing concept. A design app that allows you to see how your garden will look at different times of the year. The idea sounded great, but this app had mixed reviews. A reference guide with information on edible and medicinal plants. This looked promising – until I read the reviews. One person pointed out a glaring error that advised that rhubarb leaves, (known to be poisonous) are tasty. Yikes!!! More or less a plant data entry app – with not enough data, it seems. A decent database, with information on choosing and caring for houseplants. There is also help for ailing plants. People who bought it say this is a practical, easy-to-use app. I might just spring for this one. 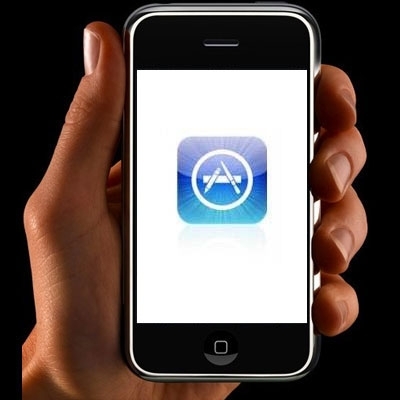 New apps being introduced at a dizzying pace, so there will be many new ones coming at us. I think it’s important to make a distinction between what is “cool” and what is truly useful. It’s easy to get sucked in by pretty photos and graphics, but will you actually USE the app once you have gotten to know it? Also, how do you know the information you are accessing is accurate? I guess the best way is to read what others are saying about the app and to steer clear of those with a lot of bad reviews. Please let us know if you have used any of these apps, or if you know about new and/or better ones. 3 Responses to Gardening Apps: Tools or Toys? I have a WM 6.5 Smartphone and cannot find any good gardening apps. Do you know of any? Hi Sven. Sorry for the late reply, but I’ve been away. I assume you are referring to the Windows Smartphone. If that is what you are using, then I haven’t been able to find any gardening apps for that phone, either. I searched through what’s avaiable, with no luck. Thanks for checking out our blog, though!